First Class is Free! Come give our INTRO class a try!!! This is a one on one consultation that will be a minimum of 4 meetings between you and your coach. 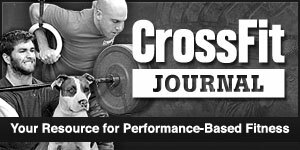 (This is optional and not required) This will give you a very valuable opportunity to spend time learning the 9 fundamental moments of CrossFit. This is important not only for your safety, but for the safety of others around while in class. Not only will this be a time to learn the movements of CrossFit, but you will also learn about the nutrition aspect of fitness. This will act as a time to go over goals with your coach so that he can design the proper road map for you to achieve those goals. WHAT: Foundations give every member a chance to get a little more acquainted with CrossFit. It allows the coaches to asses you, talk about goals, give nutrition advice, and teach you some of the more technical lifts, which will make sure you feel confident when training in a full class with our other athletes. WHEN: You will meet with your coach and decide what times works best for you. This is meant to work around your schedule, its up to you if you want to do them quickly or spread out. WHERE: All foundations session will take place at CrossFit Montrose. FOUNDATIONS CLASSES: As mentioned above it is required to take 4 foundations classes that cost $50 each. More classes may be required based on the coaches assessment of the athlete.